ATHENS - Kirby Smart is pretty certain the future of college football involves signees playing three years and leaving. In other words, what Issac Nauta, Elijah Holyfield, Mecole Hardman and Riley Ridley did by coming out early is the new world we live in. What does that mean about Jake Fromm‍’s future? If Nauta, Holyfield, Hardman and Ridley are leaving early, doesn’t it make sense to think that Fromm would leave early as well? After all, if it was out of the world of possibility why would he travel to the NFL Combine with other rising juniors (like UGA OL Andrew Thomas) to watch that process? 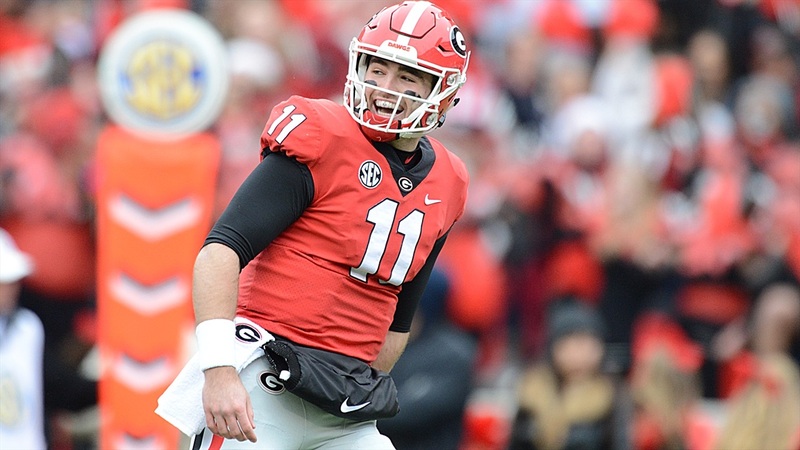 Handling the departure of Fromm nine months from now would be one of the most challenging things Kirby has had to deal with since he arrived. But quarterbacks leave early all of the time. And Kirby Smart has proved that he’s pretty good at being ready for the unexcited. Most folks expected Jacob Eason to stay at UGA three years and leave for the NFL. No one expected Fromm to do the same. We don’t always know everything. Welcome to life. Jake Fromm loves UGA - he dreamed of playing for the Dawgs. He proved that when he flipped from Alabama to the Dawgs. He proved that when he signed even though everyone assumed he would sit (until this fall) to start playing. But he’s a competitor who likes the challenge of playing quarterback, and he will want to do that in the NFL. UGA fans should start preparing themselves now for him to leave. It may or may not happen, but it sure seems more likely than not that this is his final season in Silver Britches. And don’t get mad at me for saying it out loud… you were thinking it, too.